For the past 15 years Regal Service and US Marine Corps has been providing less fortunate children with Christmas gifts. 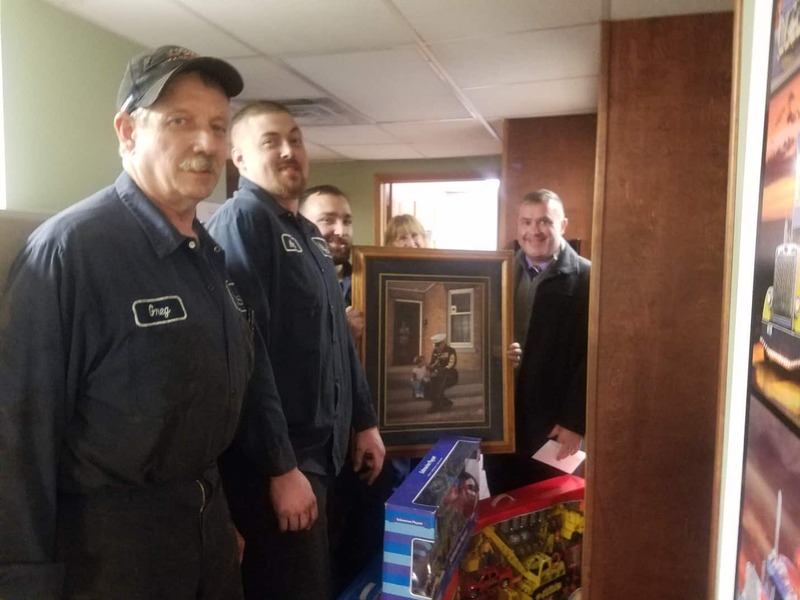 Each year, Scott McFeely collects donations for the Regal Service employees to purchase new toys for all aged children. Many employees bring in new toys to add to the bins. In 2018, Regal Service overfilled 4 Toys for Tots bins with new the toys. The mechanics, Greg Bower, Matt Dascomb and David Calcutti, along with Cyn Bloomfield help the US Marine representative fill his truck with the donations.